Earlier today a reader asked about driving directions and CFMAP. At lunch I worked on a quick proof of concept. Please note that this could be done better, cleaner, etc, but it works, and is kinda cool, so hopefully it is enough to get people started. I'm going to jump around a bit here so please forgive me. (I find that the way I write CFML does not lead itself well to actually teaching or writing about it well!) The very first line hard coded an address. This would be the store or other location you want to display to your users. At the bottom of the script you can see where I use this within the CFMAP tag. Below it I've created a simple form. I hard coded in San Francisco to save myself some typing. For my demo, the to is hard coded and the from is based on your input. And that's it. The result will get dumped into my div. If I wanted to I could extract out individual bits of it but for now it works fine as is. You can demo this here: http://www.coldfusionjedi.com/demos/jan182010/test3.cfm One quick note - I warned folks this is a proof of concept so it shouldn't be used without more testing, but I want to point out one serious mistake that should be corrected. The jQuery document.ready event I use here can and probably will fire before the map is loaded. 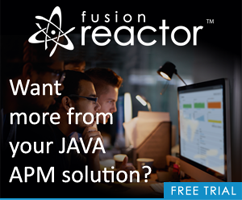 I should have used ColdFusion's ajaxLoad function to register the setup call. That's a 2 second fix but I wanted to make sure folks remembered that.